Conservative blogger Clayton Thomas Kelly was arrested Saturday after allegedly trespassing at the nursing home where Mississippi Sen. Thad Cochran's wife lives and posting a picture of the Republican's spouse online without permission. Cochran's wife, Rose Cochran, suffers from dementia, according to the Jackson Clarion-Ledger. She lives at the St. Catherine's Village retirement home in Madison, Miss., where she is bedridden. Kelly runs a political blog called Constitutional Clayton, where he posted a story April 26 attacking Cochran and supporting state Sen. Chris McDaniel, who's challenging Cochran in the state's GOP Senate primary this year. The piece included a picture taken bedside in Rose Cochran's room at the nursing home, where she has lived since 2000. In a press release, the Madison Police Department said that Kelly "had illegally and improperly obtained an image of a vulnerable adult resident without their consent for his own benefit." He was charged with exploitation of a vulnerable adult, and his bond was set at $100,000. In a statement, the Cochrans' attorney, Donald Clark, said his clients' "privacy and dignity have been violated," according to the Clarion-Ledger. "We became aware of an unauthorized picture, posted on the Internet, of Mrs. Cochran, taken literally in her room by her bedside at St. Catherine's," Clark said. "Sen. Cochran retained my law firm on this matter, and we looked at various legal options. We notified the proper authorities, which in this case is the city of Madison Police Department." McDaniel's team condemned the incident, stressing that Kelly is not officially affiliated with the campaign in any way, either as a volunteer or staffer. "I've reached out to Senator Cochran directly to express my abhorrence for the reprehensible actions of this individual. This criminal act is deeply offensive and my team and I categorically reject such appalling behavior. 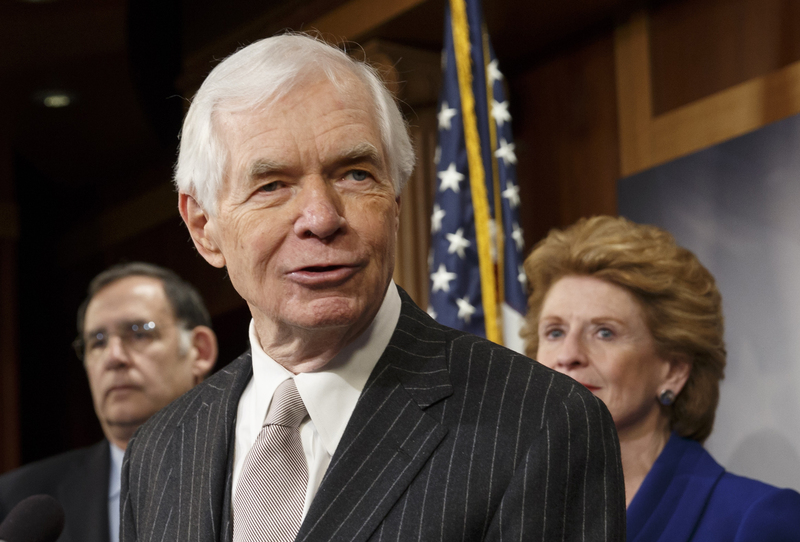 My thoughts and prayers are with Senator Cochran and his family," McDaniel said in a statement. "Politics is about the exchange of ideas and this type of action has no place in politics whatsoever and will not be tolerated."